I'd have to agree with Mara Hoffman when she describes Spring 2014 as her 'brightest and boldest ever'. I've been attending Mara Hoffman's runway shows at Mercedes-Benz Fashion Week since Fall 2009, when she shared the catwalk with Nicholas K and Sergio Davila for a 3-part show. 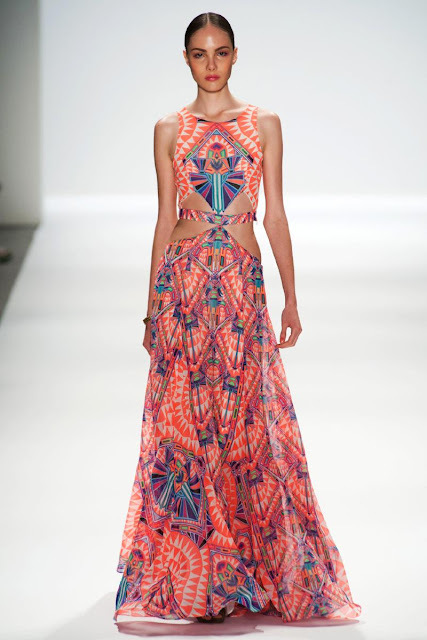 Mara's designs are my favorite when it comes to flowy dresses with vibrant prints, and the multi-color chiffon maxi-dresses with side cutouts she sent down the runway are absolutely gorgeous. 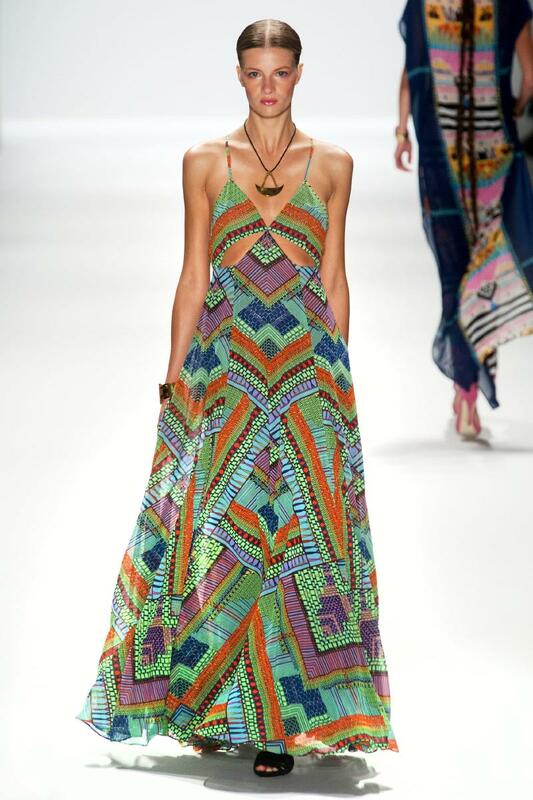 This season features a rainbow of colors with eye-shaped, serpent, geometric and prism prints.